RPMF provides world-class CNC turning for advanced engineering plastics. 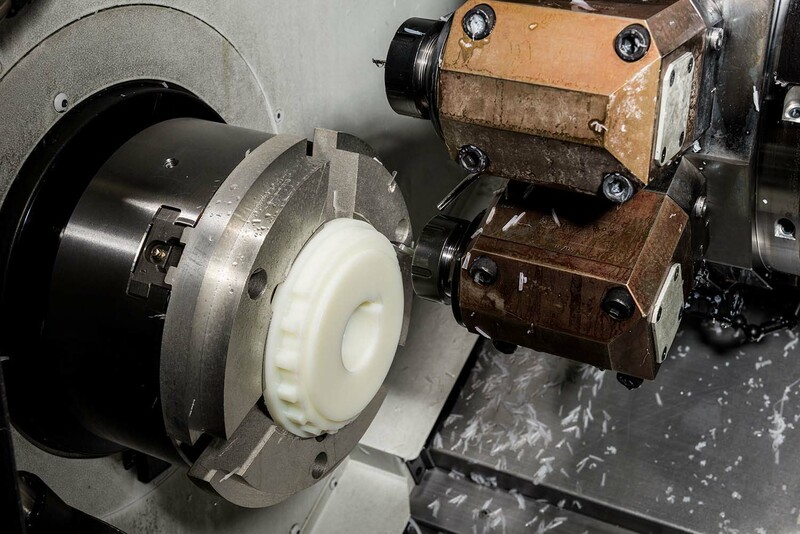 We specialize in multi-axis lathe work that holds tight tolerance standards, up to .001″. We’ll create your sprockets, gears and augurs from any specialty plastic you request. Precision threading is available in ANSI, ASME, metric and variable pitch threads. We use the latest CAD/CAM techniques and software to turn your designs into reality. Clients in material handling, chemical processing, industrial machine manufacturing and more trust our precision-turned products. We’re also an experienced producer of OEM replacement parts.